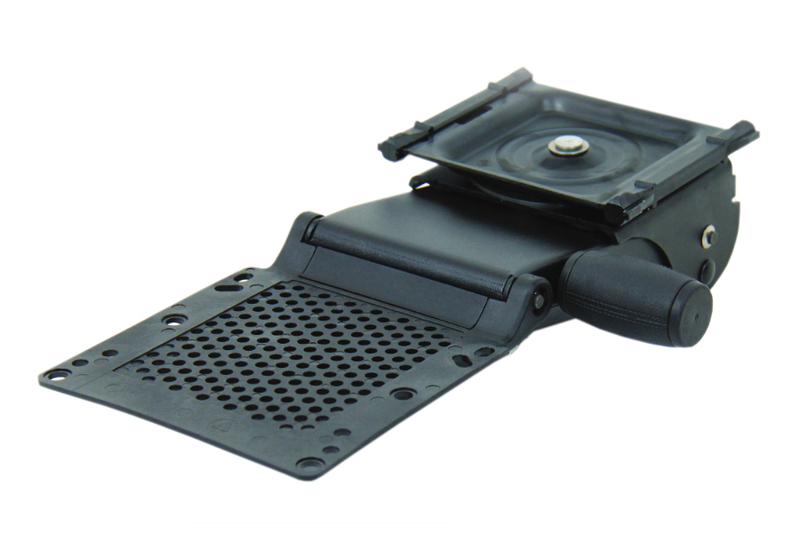 The Staccato Keyboard Arm from KV Waterloo was designed for situations where storage depth is limited but an adjustable height keyboard tray is desired. 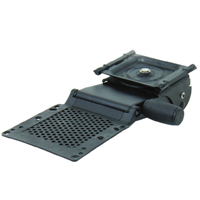 Requires 15.25" of mounting depth. Will permit full storage of trays up to 9" deep. Dial a Tilt adjustment. Shows the angle of the tray as you turn the knob from -20° to +10°. Elevation: -1.375" to -8.0" below mounting surface. Note: tray will always be lower than the desk surface. 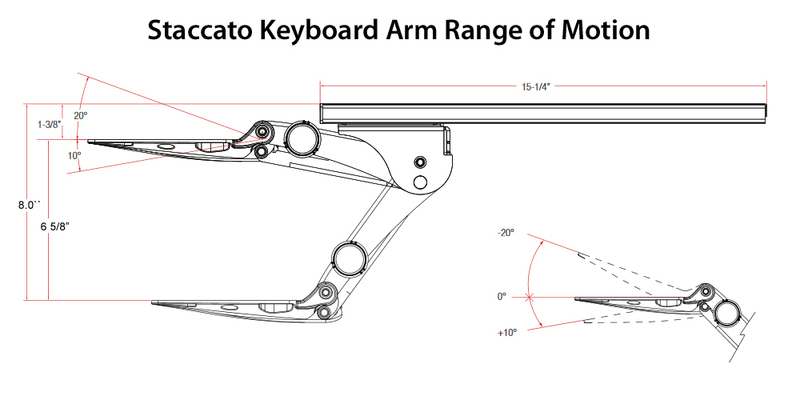 Staccato Keyboard Arm - specifications.